Reiki is Japanese for “universal life energy”, a term used to describe a natural system to help bring about an improved sense of wellbeing and a positive feeling of spiritual renewal. The method of receiving a Reiki treatment is simple, the recipient remains clothed and comfortable by either lying on a couch or sitting in a chair. Hands are gently placed non-intrusively, either on or near the body using intuition and training as a guide. There is no massage or manipulation. Reiki can be used on the person as a whole, or on specific parts of the body. It is also possible to receive Reiki at a distance. During the healing session the Reiki energy directs itself to the correct areas, both the exterior bodily symptoms and also the deeper root causes that may exist in the mental, emotional and spiritual connections. Kundalini Reiki is believed to be the most ancient tradition of Tibet. It is actually a fusion of the Earth core energies – Kundalini (a hidden natural power in every person) and Reiki. It is regarded as the simplest as well as one of the most effective forms of Reiki. Though it employs a lot of the same techniques used in traditional Reiki, its principles are more rationalised and uncomplicated. The energy here, is received from the higher power which is known as “Kundalini Energy” and at times called “Kundalini Fire”. Methods have evolved over the years, by understanding the energies which are available for use, leading to improved lifestyles, stress reduction, enhanced awareness, illness prevention, emotional and mental well-being, and acts as an aid to meditation. Kundalini energy is considered to be a much more powerful and effective form of energy, which is obtained from the higher power by many practitioners. In fact, it has been reported that Kundalini energy makes clients feel livelier and happier than ever before. However, others claim that both energies harnessed during Kundalini Reiki and traditional Reiki sessions are alike, since they come from the same source. Whilst Kundalini Reiki employs a few of the same methods for healing as that of traditional Reiki, in the practice, the practitioner accesses universal energies and the inner energy for the purpose of healing. Though there are clients who find no difference between the energies channelled through them during the Kundalini as well as the traditional Reiki sessions, the distinction between Kundalini and traditional Reiki lies in the fact that during Kundalini healing treatment, the energy is focused on the root chakra, unlike traditional treatment, where the energy is directed to the affected part of the body. In Kundalini Reiki, the energy is firstly channelled to the root chakra and then goes on its own clearing chakras. Creates deep relaxation so aids the body to release stress and tension. It accelerates natural self-healing abilities and aids better sleep. It reduces blood pressure and can help with acute injuries or chronic problems such as asthma, eczema, headaches, etc. It aids the breaking of addictions. It removes energy blockages, adjusts the energy flow of the endocrine system bringing the body into balance and harmony. It helps spiritual growth and emotional clearing and much, much more. ADHD, Anger Management, Anorexia Nervosa, Anxiety, Arthritus, Back Pain, Bad Habits, Bereavement, Bipolar Disorder, Blood Pressure, Cancer, CFS, Circulation Problems, Depressions, Diabetes, Digestive Problems, Eating Disorders, Endometriosis, Exam Nerves, Fertility, Glandular Fever, Grief, Headaches, Hormone Imbalance, Insomnia IBS, Self Esteem, ME, OCD, Panic Attacks, Self Harm, Stress, Tinnitus, Trauma PTSD, Weight loss/management and much, much more. Hypno-Reiki is a blend of two therapies, Hypnosis and Reiki. Reiki is a holistic therapy of healing through channelling of universal life force energy and hypnosis is a process of controlling the mind and body, resulting in a powerful therapy that adds to the healing processes. With both of these healing practices together it can lead a client to a more wonderfully happy and healthy lifestyle. Hypno-Reiki is a great tool in supporting clients in their strife towards a contented and relaxed life. It helps improve concentration, memory and ability to make better life choices as well as reducing stress. Reiki Massage are essentially two separate therapies, while Reiki is the art of holistic healing that uses universal life force energy, massage is the practice of rubbing or kneading different parts of the body for restorative and invigorating purposes. Reiki therapists, trained in massage combine the two practices which makes for better health results. It is an ancient natural healing system that promotes the balance between the mental body, the emotional body, the physical body and the spiritual body. This system of therapy maintains that all illnesses affect both the mind and the body and should be treated together not separately. It is based on prevention, working with the client’s particular problem before it settles in the body, as well as helps to clear already blocked energies from the past. The intent of this therapy is not only to ward off stress but also to stimulate the body to heal itself and to reduce the rate of progress of prevailing conditions. Whilst the energies flow to all areas of the body, it works by relaxing tense areas, whilst at the same time, it helps to re-balance the energy field, clearing any areas of negativity and imbalances present. This combination of therapies is said to balance every system in the body and the benefits associated with it make up a lengthy list. At the top of that list however is its ability to combat stress and anxiety, as it helps us find balance thereby allowing the clearance of old stagnant emotions, mental programs, hurts, and all those things that hold us back from fully enjoying our lives, physically, mentally, emotionally as well as spiritually. Reiki Massage is thought to have originated in Tibet and was introduced into the western world in the 1970′s. With this therapy, life force energy is directed by the Reiki Massage practitioners in a particular pattern, to restore the body. Reiki massage starts from the head and makes it way through seven chakras of the body. The practitioner just places their hands above the client and energy is channelled to treat the body. The treatment is only possible if the client is willing to receive the healing energy. Reiki massage helps to reinstate order to the body where fundamental energy has become deranged, thus contrasting other healing therapies anchored in grounds of human energy fields. It is very effective, causes deep relaxation, destroys energy blockages, detoxifies the system, provides new strength in form of healing energy and augments body’s vibrational frequency. It differs from normal massage, since the practitioner does not knead the muscles of the client. Instead the practitioners hands remain still while healing energy is sent via channels into the client. You need not worry about the Reiki Massage treatment as it is absolutely safe and harmless, in fact, there is nothing in it which can make you uncomfortable. You will be fully clad because there is no need to have skin-to-skin contact in this treatment. Some can feel a sensation of warmth or tingling whereas a feeling of relaxation and balance can be experienced by others. It is also possible not to feel anything at all since, it varies from person to person. 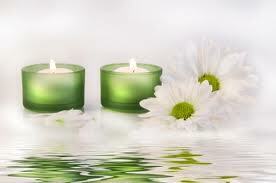 Reiki Massage is therefore another holistic practice to deal with pain and augment the quality of living. Hypno Massage is a blend of two wonderful therapies, hypnosis and massage. While massage is the practice of rubbing or kneading different parts of the body for restorative and invigorating purposes, Hypnosis is a process of controlling mind and body. By combining both Hypnosis, as outlined on previous pages and Massage rubbing or kneading techniques (hands on method) it makes a very powerful healing therapy, beneficial for the mind and body alike. Hypno Reiki Massage is a blend of three wonderful therapies as outlined, Hypnosis, Reiki and Massage (combinations of hands on and off) and has the benefits off all techniques rolled into one! 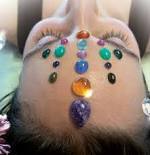 Crystal-Reiki brings to the mind the idea of using crystals along with Reiki. Crystals are used in combination with the healing energy of Reiki, to assist in the self-healing system of the mind, body and spirit. The energy of Reiki, when fused with the healing energy benefits of crystals can in fact unlock new doors for better healing. Crystals are likened to that of a tuning fork and resonated by the human energy field. Each crystal has its own healing qualities which are found to be different in different crystals. Crystals are particularly effective in illnesses such as migraines, headaches, indigestion, IBS and asthma. Rock Crystal - associated with the second chakra, quality evoked perception, healing qualities such as poor circulation of blood, glandular malfunctioning, under-functioning of a body part or depression. Amethyst – associated with the sixth chakra, quality evoked realisation, healing qualities hyperactivity of all kinds, inflammation, glandular hyperactivity, hysteria, or high blood pressure. Rose Quartz – associated with fourth chakra, quality evoked acceptance, healing qualities resistance of all kinds, cancer, cysts, tension or schizoid symptoms.